Every year on June 16th, beginning at dusk, a spectacular lights festival takes place in Pisa on the beautiful promenade of the river Arno. After sunset, all the houses, bridges, churches and towers along the Arno river, are illuminated with more than 70 000 candle lights. The Leaning Tower and the ancient city walls are illuminated with hundreds of oil lamps. In addition thousands of candles are floating through the city on the calm waters of the Arno River. The event offers visitors an unique, fascinating and indescribable charm. 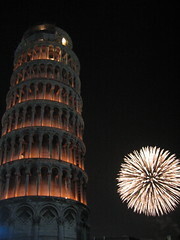 The magical night of the 16th June is dedicated to Saint Ranieri, the patron of Pisa. Along the streets of downtown a market with artisanry, food and candies will take place until midnight. The highlight of the festival is the gigantic display fireworks, which takes place at 11:30 pm at Cittadella, the imposing city fortress from the 14th century. Pisa has approximately 92,000 inhabitants and is situated on both sides of the river Arno and is only a few kilometers from the Tyrrhenian coast away. 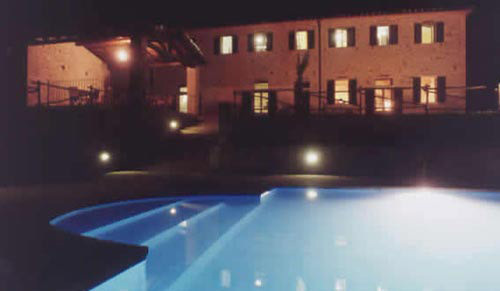 Pisa is one of the most important cultural centers in Italy and offers its visitors a rich artistic heritage. The magnificent Cathedral and the Leaning Tower, which is one of the Seven Wonders of the World, attract annually thousands of tourists. Moreover, Pisa has one of the world’s most prestigious universities in the area of research, medicine and science.